Burger King NNN lease is a excellent investment opportunity for investors that are looking to invest their money in a strong brand and a proven business model. 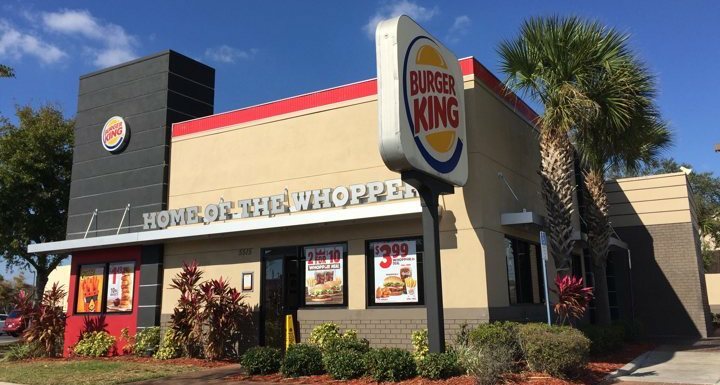 There are multiple locations available of Burger King NNN lease for sale in major metropolitan states such as Florida, Texas and Nationwide, United States. Burger King NNN Lease investment feature attractive benefits such as: 15-20 Year Absolute Triple Net Lease, CAP Rate between 5% – 6%, 5% – 10% Rental Increases and No Landlord responsibilities. Burger King is a global chain of hamburger fast food restaurants with headquarters in Miami, FL. Burger King was founded in 1954 and it is known by its signature product, the Whopper. Burger King is a publicly trade company (NYSE:BKW) and it has over 13,000 restaurants in 79 countries, of which 99% are privately owned and operated. Total sales for the year ended 2013 amounted to $1.146 billion with a Net Income of $233 million. *Please note that the properties shown on this list may no longer be available or may have already been sold. Please call us at 407-205-7570 to confirm availability. Are you Interested in Investing in a Burger King NNN Lease Property? At CASABLANCA Commercial Real Estate, we specialize in Triple Net NNN Investments. We can work with you in finding and negotiating the best deal according to your investment goals and risk tolerance. Why choosing us? Our Buyer’s brokerage fees are Free. Triple Net Financing is available through one of our financing partners. Contact Us here or call us directly at 800-406-7640, we want to be your Net Lease Investment Advisor.